Suki Pro is available at a very affordable price. Still not sure? Download free Suki WordPress theme. You are fully protected by our 100% Money Back Guarantee. If you don’t like Suki Pro over the next 14 days after your purchase, then we will happily refund 100% of your money. What is the difference between Suki and Suki Pro? Suki is a WordPress theme which you can install and use on your website for free. Suki Pro is a WordPress plugin containing premium modules that extend the functionalities of Suki theme. To install and use Suki Pro, you need to purchase one of our premium plans. Why do I need to upgrade to Suki Pro? Using Suki Pro, you’ll get more flexibility on the design options, allows you to create a totally unique website that fits to your own brand. You will also backed by our top-notch support whenever you have questions or issues. Can I use Suki Pro without Suki theme? No, Suki Pro is a plugin specifically built to extend the functionalities of Suki theme. So Suki theme is required to work with Suki Pro. How many websites can I use Suki Pro on? You can use Suki Pro on as many websites as you like, whether they are for you or your clients. Do you offer free trial for Suki Pro? No, there is no trial for Suki Pro. But every new purchase is backed with 14 days money back guarantee. 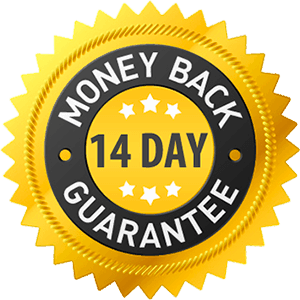 If you are not satisfied with your purchase within 14 days, you can request a refund. What will happen if I don't renew my license? Your website will work as it is and you can still use Suki Pro plugin on your website for as long as you like. But you won’t get any further updates and direct support from us. If you are on Design Plan, when your license expired, you will lose your access to import the Pro demo sites. Our updates include new features, improvement of the existing features, bug fixes, and also compatibility to the latest WordPress and other plugins. If you are on Design Plan, you will also get 3-5 new Pro demo sites each month. We have a dedicated support ticketing system for our premium users, means you would get helps faster and more accurate from our expert team. Can I upgrade my plan once purchased? Yes, you can upgrade your license to higher plan at any time without any additional upgrade fee. You will only need to cover the price difference between your current plan and the new plan you choose. For example, if you started with Essential Plan ($59) and want to upgrade to Design Plan ($79), you will only pay $20. Your license period will follow the original purchased plan. Do you offer any discount on license renewals? Absolutely! You will receive a 20% discount from the original plan price on renewals. or ask a pre-sale question.